Shipyard Brewing: XXXX IPA, Ep. 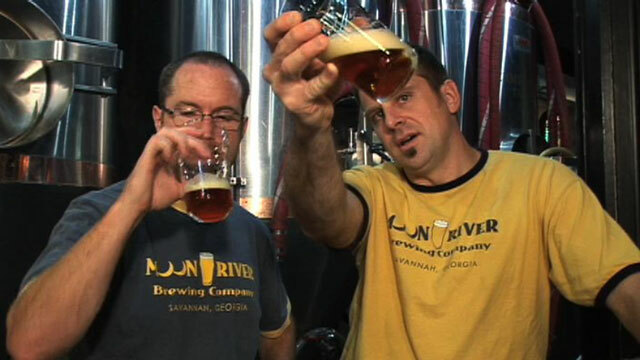 95 | Beer America TV - Craft Beer in Motion! This week we dive into another beer from Shipyard Brewing Company in Portland Maine. For all you hop heads this one is a must try and another fine example of the diversity hops can bring to a beer. Shipyard describes XXXX IPA as a non-traditional American IPA with a brilliant copper color and the classic citrus nose of Cascade Hops. This beer demonstrates a unique balance of malt-inspired, delicate red grapefruit sweetness and lingering hop dryness. XXXX IPA is one of the selections in Shipyard’s new Pugsley’s Signature Series. This series is named after Shipyard’s master brewer, Alan Pugsley. Pugsley’s career began in England where he worked under the tutelage of renowned brewer Peter Austin at the world-famous Ringwood Brewery in Hampshire. We are taking a trip to Acadia National Park in June and thanks to your video , Shipyard will be one of the many breweries will plan to stop and visit along the way. Thanks for the insight of what looks to be a delicious brew!